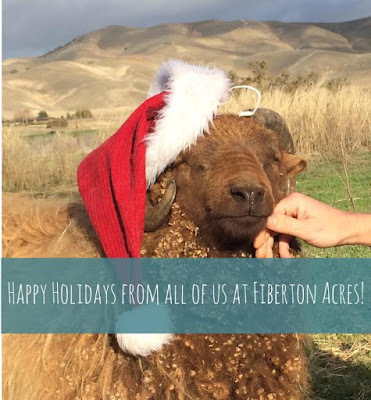 Fiberton Acres Blog: Happy Holidays from Fiberton Acres! Happy Holidays from Fiberton Acres! We just wanted to say Happy Holidays to all our lovely folks out there! We hope you all have a safe and joyous filled holiday season. We have a LOT of fun stuff planned for the new year, so stay tuned! And if you have not seen it yet, you have to go to our Facebook page and check out this video of Rocky and Ric playing ball! Too cute! 5 Small Things to Start Today...Cuz life is hard, but the only way we fail is to not try. Visit Fiberton Acres's profile on Pinterest.